What's a DevaCurl Haircut ? Tame the frizz and curls once and for all! Marie has been extensively trained to offer the best treatments known for making your hair more manageable, healthy, and shiny! Get the straight and smooth hair you’ve been wanting and schedule your appointment with Marie today. 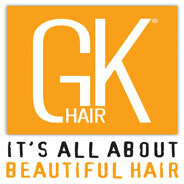 When you have a GK Treatment along with a hair color service, the normal cost will be less. Why Keratin Hair Straightening is still in, the first thing to understand is that when you use keratin you are in no way putting poison into your body. The fact is that your hair is made of keratin, so when you use it as a treatment, you are essentially massaging and marinating your hair in a substance of which it is already made. Keratin smooths out the surface of the follicles and, depending on how much you use, releases curls, smooths out the wavy bits of your hair and makes it easier to get it flat. It also makes hair shinier and helps prevent it from breaking. Keratin treatments are not permanent. They can be washed out. A single treatment can last anywhere from eight weeks to 4 months. Fortunately, it is not that hard to find salons that offer good keratin treatments. Innovative Hair Designs by Marie Venter always provides excellent hair straightening keratin procedures. Each customer undergoes a consultation on every service that they want to try and Marie always provides the best options for what would work best on your hair type. treatments that are offered in many hair salons in Silver Spring. With the Global Keratin system from our hair salon, you are guaranteed superior quality results. GK Hair formulas are professional in-salon treatments that penetrate the hair cuticle to improve texture and enhance manageability. You can enjoy a beautiful, frizz free hair that will last for 3 to 5 months! After care shampoos, conditioners, and styling products will help to keep your hair soft and frizz free during the weeks following your keratin treatment.